This is the result of so many hours of shaking, washing, drying, carding, tweezering and spinning. Seriously, I actually used tweezers to try and get the teeny, tiny, prickly grass bits out of our alpaca fiber. We are not too sure when to stop and say, “You win!” to those pesky pieces. Otherwise, this alpaca gift would be heaven. Zoom in on the white carded alpaca, and one can see those, “Oh,so annoying” grass bits. I think we may have cried because of those darn things. We were so close! Last week I went up our local mountain, Silver Star, to visit a friend, Charmalee, to check out a local and very professional singer, Andrew Allen. If you ever get the opportunity to see Andrew, take advantage of it, as the trip up the Star was well worth the drive. My friend, Glenda, may have a very different opinion of the actual mountain drive. Usually, I consider myself quite a good driver. But, it was a pitch black, moonless night and the windy, icy road was much narrower than I expected. Poor Glenda. Woo, I felt like one of those ancient drivers that people complain about, wondering whether the driver’s license should be revoked. I even scared myself! 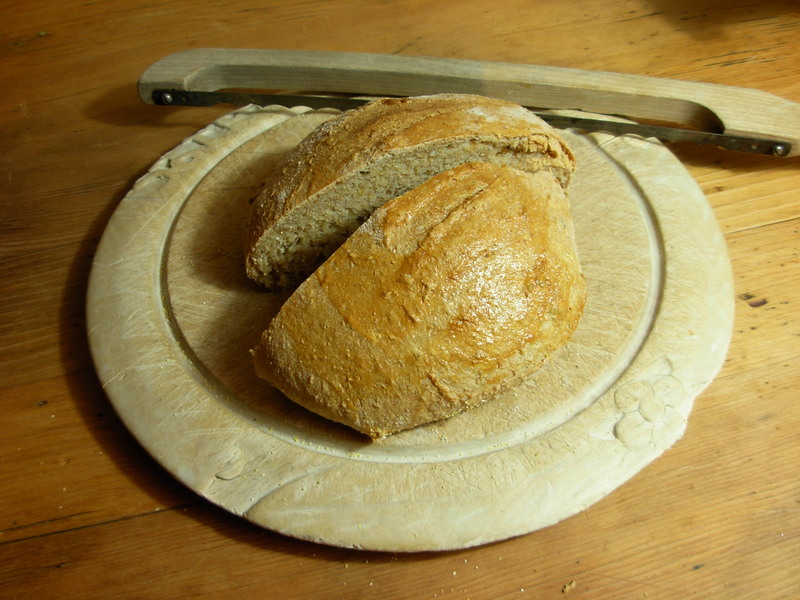 Anyhow, all that aside, I made the bread that my friend served that evening. I think I ate nearly half a loaf. Here is my first effort at a tiny single-serving loaf. It was no where near as tasty as my friend’s, but it is a dough that can be stored in the fridge, so that one can have a fresh loaf every night. I will work on the ingredients to make a tastier recipe. 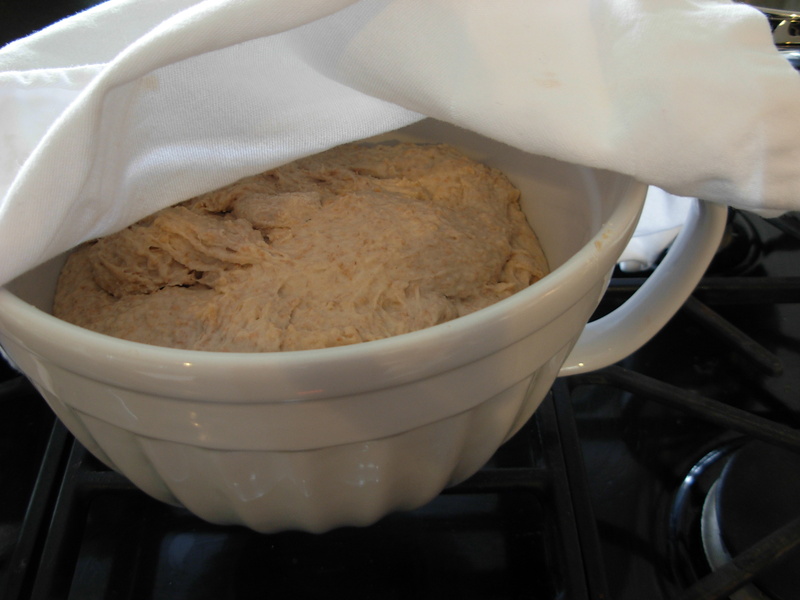 The recipe is on the net as a refrigerator bread dough by Jeff Hertzberg and Zoe Francois. The name of the book is Artisan Bread in Five Minutes a Day: The Discovery That Revolutionizes Home Baking.